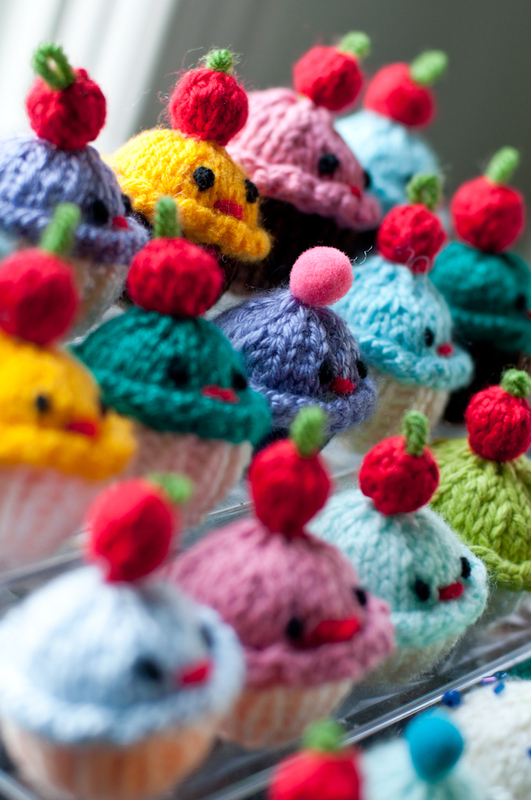 The pattern for these cute cupcakes can be found in Teeny-Tiny MOCHIMOCHI by Anna Hrachovec. And got bedazzled with sparkles all over his face! Thank you for dropping by again!!! Since I’ve started my blog, I’ve discovered so many other awesome blogs (like yours!!) but I also never feel like I have enough time to go through everything! I have a huge list of favourites I saved that I need to go back and start pinning the photos onto Pinterest! So cute and sweet! Love the darling monkeys…and your blog! Are you going to have an Etsy shop? wow. 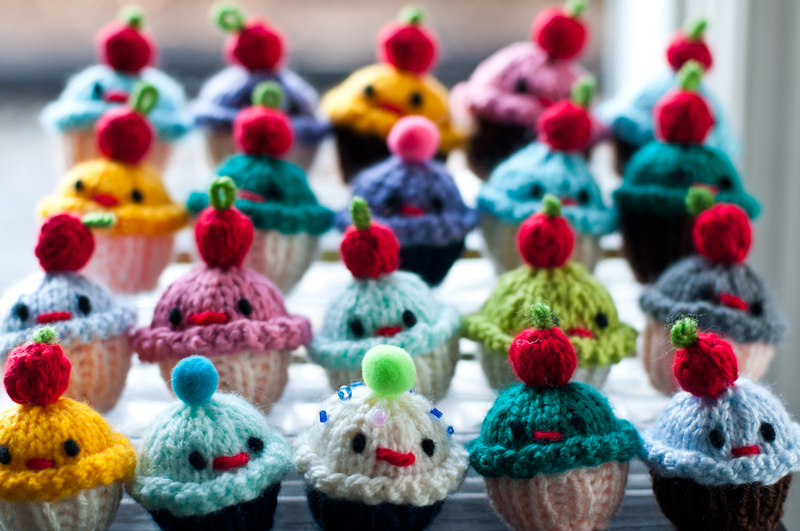 they look like cupcakes feel. you may have sinestesia. or just really like cupcakes. They look scrumptious! I’m certain that Maharaja Icky would love to have a go at chomping his way through them! awwww I bet peanuts are still his favourite tho! 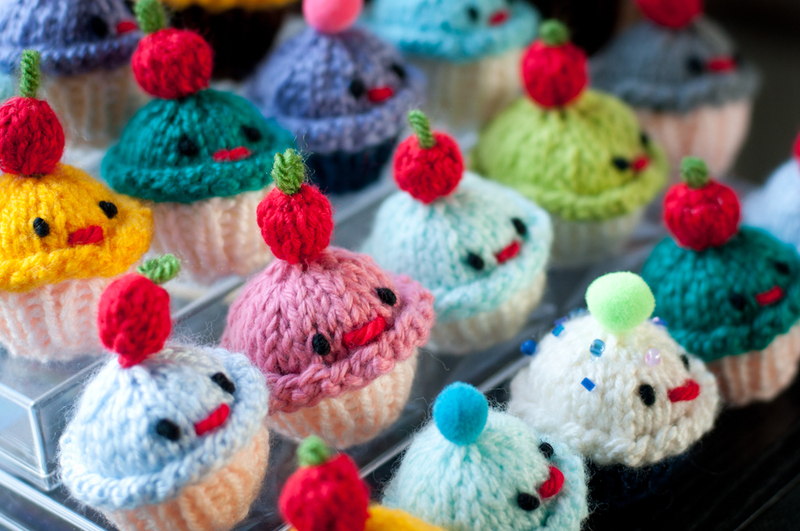 Love, love, love these cupcakes! 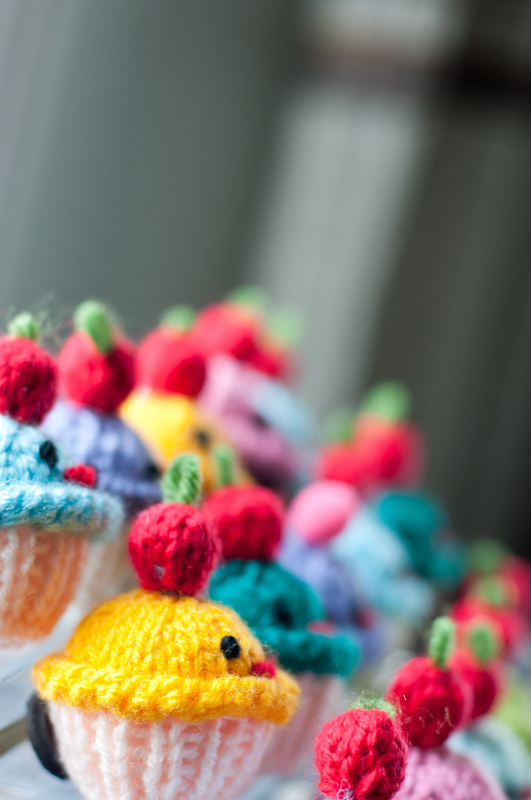 I made several cupcake hats for little girls last winter and I’m thinking I need to make some of these. sooooooo cute!!! how did you attach the sprinkles?